"I am well aware of how mushy and subjective this review may read, but for me, from the moment I pressed play on the CD player for the first time on Friday, this music has had a profound, and yet very simple effect on me. Throughout the two pieces there are basically two sounds to be heard. The first is a barely audible, but constant layer of roomtone, presumably where the microphone gain has been brought up. This soft background is perfect for the CD, somehow giving it all a context and just enhancing the human aspects of it all. 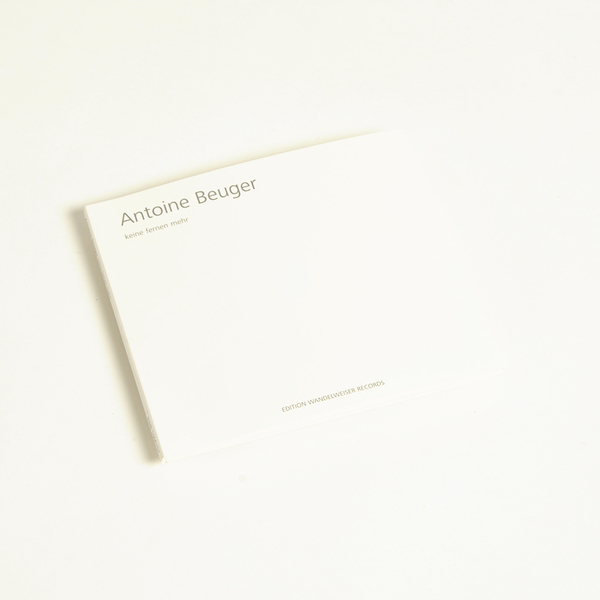 Then Beuger whistles… softly, always with a slight breathy hiss, never full on piercing notes. The sound resembles little gasps of air forcing their ways through a crack in the door more than anything tonal, though as the score seems to dictate particular notation then there are certainly particular pitches here, just softly, cloudily picked out. Its the human aspect of it that works so well for me though, and also the fact that it is Antoine whistling here, not anyone else. I say this because the power of this music comes from its direct simplicity, and so hearing the composer pick out what he wants from his score himself and then just performing it, presumably while alone in a room (the score says the whistling should be “whispered very quietly to oneself”) adds to this feeling of directness, and brings a sense of incredible intimacy to the music. The actual sounds are mostly short lines, roughly three or four seconds in length, spaced apart by silences that aren’t overly long, but leave the listener enough time to contemplate each short burst before absorbing the next. 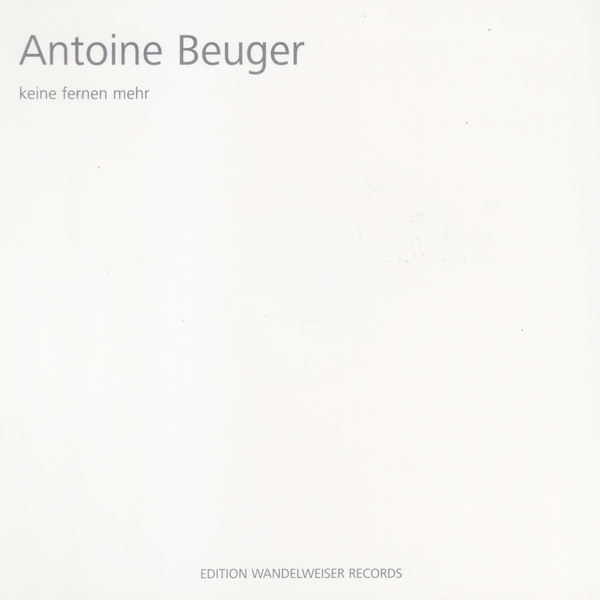 There are also a few little shorter sections which occasionally run through scales, and also hint at bits of melody, but for the most part (as with much of Beuger’s work) there isn’t much in the way of silence here, just a sense of incredible calm and peacefulness. The CD sleeve recommends that the music should be played at very low volume, a suggestion that will always win my approval, but here this is vital. I can’t think of any CD that would be destroyed more by being played at very high volume. This is music I will return to often at the end of stressful days. It is music I will play when I wish to get off to sleep in a gentlest of manners, but it is also music that I will put on and just sit and listen to quietly, a kind of distillation of musical expression down to this most basic, refined human experience, and so a thoroughly uplifting and inspirational thing, not unlike the birds that can be heard singing every morning here, not unlike the simple beauty that poetry creates when two words are placed beside each other. For me, Keine fernen mehr portrays the very best of humankind, an antidote to the noise, to the chatter of technology, to the anger, to the cruelty that exists in the world today, two CDs that, for me, flood my surroundings with undiluted joy. 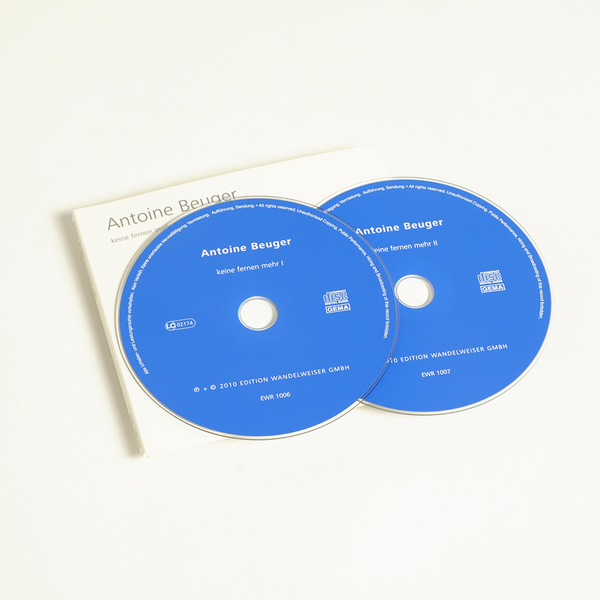 I have heard so much wonderful music this year, and doubtlessly much of it is technically superior, structurally more complex or conceptually more intriguing to what is presented on these CDs, but nothing, nothing at all at all has had such a deeply moving effect on me as the music here. Utterly magical." Richard Pinnell, The Watchful Ear.